With UK speeding fines and variable speeding limits on the increase nationwide, make sure you get a clear view of the road ahead and never miss a speed camera again with our new super-bright, sunlight readable LCD screen. Never wonder what the speed limit is again! 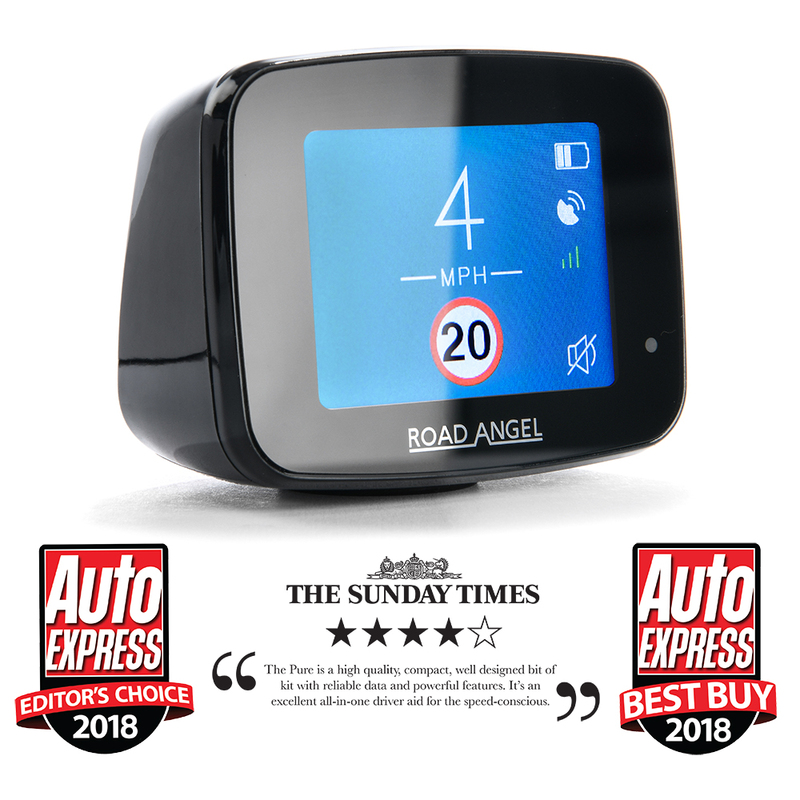 Make sure you’re ready for the Smart Motorway revolution with our Road Angel Pure. Our speed camera and radar detectors give live updates and information based on GPS location, with built-in laser gun protection to guarantee the identification of the speed limit on even the most remote road. Our Road Angel PURE even includes app connectivity to any smart phone. Learn more about our speed awareness products now.